All titles nominated for this award can be found in our library. Come in starting April 1, 2019 to the library and cast your vote for a winning book! 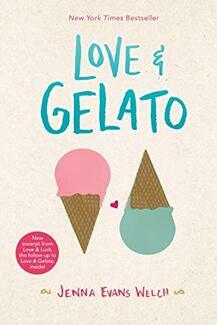 Amazon Summary: "Now: Sixteen-year-old Jesse is used to living with the echoes of the past. Her older brother died in the September 11th attacks, and her dad since has filled their home with anger and grief. When Jesse gets caught up with the wrong crowd, one momentary hate-fueled decision turns her life upside down. The only way to make amends is to face the past, starting Jesse on a journey that will reveal the truth about how her brother died. Then: In 2001, sixteen-year-old Alia is proud to be Muslim . . . it's being a teenager that she finds difficult. After being grounded for a stupid mistake, Alia decides to confront her father at his Manhattan office, putting her in danger she never could have imagined. When the planes collide into the Twin Towers, Alia is trapped inside one of the buildings. In the final hours, she meets a boy who will change everything for her as the flames rage around them . Interweaving stories from past and present, All We Have Left brings one of the most important days in our recent history to life, showing that love and hope will always triumph." Amazon Summary: "2065: Adri has been handpicked to live on Mars. 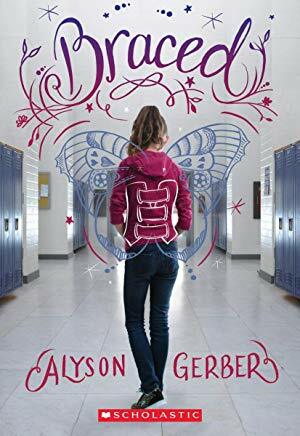 But weeks before launch, she discovers the journal of a girl who lived in her house more than a hundred years ago and is immediately drawn into the mystery surrounding her fate. ​1919: In the recovery following World War I, Lenore tries to come to terms with her grief for her brother, a fallen British soldier, and plans to sail from England to America. But can she make it that far?While their stories span thousands of miles and multiple generations, Lenore, Catherine, and Adri’s fates are entwined in ways both heartbreaking and hopeful. In Jodi Lynn Anderson’s signature haunting, lyrical prose, human connections spark spellbindingly to life, and a bright light shines on the small but crucial moments that determine one’s fate." Amazon Summary: "It is Earth year 2213—but, of course, there is no Earth anymore. Not since it was burned to a cinder by the sun, which has mysteriously begun the process of going supernova. The human race has fled to Mars, but this was only a temporary solution while we have prepared for a second trip: a one-hundred-fifty-year journey to a distant star, our best guess at where we might find a new home. ​Or so he thinks. Because before this day is over, Liam and Phoebe will make a series of profound discoveries about the nature of time and space and find out that the human race is just one of many in our universe locked in a dangerous struggle for survival." Amazon Summary: "Rachel Brooks is excited for the new school year. She's finally earned a place as a forward on her soccer team. Her best friends make everything fun. And she really likes Tate, and she's pretty sure he likes her back. After one last appointment with her scoliosis doctor, this will be her best year yet. Then the doctor delivers some terrible news: The sideways curve in Rachel's spine has gotten worse, and she needs to wear a back brace 23 hours a day. The brace wraps her in hard plastic from shoulder blades to hips. It changes how her clothes fit, how she kicks a ball, and how everyone sees her -- even her friends and Tate. But as Rachel confronts all the challenges the brace presents, the biggest change of all may lie in how she sees herself." Amazon Summary: "For the millions who log in every day, Warcross isn’t just a game—it’s a way of life. The obsession started ten years ago and its fan base now spans the globe, some eager to escape from reality and others hoping to make a profit. Struggling to make ends meet, teenage hacker Emika Chen works as a bounty hunter, tracking down Warcross players who bet on the game illegally. But the bounty-hunting world is a competitive one, and survival has not been easy. To make some quick cash, Emika takes a risk and hacks into the opening game of the international Warcross Championships—only to accidentally glitch herself into the action and become an overnight sensation. Amazon Summary: "​It's not easy being Claire. (Really. )Claire's life is a joke . . . but she's not laughing. While her friends seem to be leaping forward, she's dancing in the same place. The mean girls at school are living up to their mean name, and there's a boy, Ryder, who's just as bad, if not worse. And at home, nobody's really listening to her -- if anything, they seem to be more in on the joke than she is.Then into all of this (not-very-funny-to-Claire) comedy comes something intense and tragic -- while her dad is talking to her at the kitchen table, he falls over with a medical emergency. Suddenly the joke has become very serious -- and the only way Claire, her family, and her friends are going to get through it is if they can find a way to make it funny again." Amazon Summary: "​From acclaimed author Patricia Hruby Powell comes the story of a landmark civil rights case, told in spare and gorgeous verse. 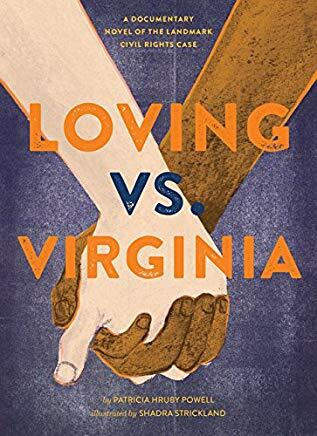 In 1955, in Caroline County, Virginia, amidst segregation and prejudice, injustice and cruelty, two teenagers fell in love. Their life together broke the law, but their determination would change it. Richard and Mildred Loving were at the heart of a Supreme Court case that legalized marriage between races, and a story of the devoted couple who faced discrimination, fought it, and won." Amazon Summary: "After a humiliating defeat at the hands of Kendra and Seth, Celebrant, King of Dragons, prepares to unleash his fury and take control of his native preserve. Two of the seven dragon sanctuaries have already fallen. Will Wyrmroost be next? ​Will the two young caretakers rally enough support from the creatures of Wyrmroost to quell the uprising and protect the world from draconic dominion? One thing is certain—dragons are deadly foes, and one wrong move could bring swift defeat. It will take more than Kendra, Seth, and their current allies have ever given to endure the wrath of the Dragon King." Amazon Summary: "A summer in Italy turns into a road trip across Tuscany in this sweeping debut novel filled with romance, mystery, and adventure.